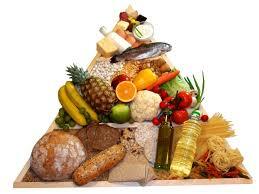 First, I want to say how proud I am that I’ve actually tried the foods I’ve said I would for the last few weeks. No more last minute changes. But I do sort of wish that I’d made a last minute swap for apricots this week, as I’m 99% sure I’ve eaten apricots and been fine (I never actually tested positive for them, or tested for them at all, but for some reason they terrify me and I feel like I need to eat them where I know I’m safe to overcome this totally irrational fear). I wish I’d made the switch, because buckwheat went…mediocrely. Hey look! It’s two foods I can’t eat for the price of one! I cooked buckwheat pancakes in the morning and they smelled FOUL. But when I tasted them at the doctor’s office, they were delicious. So right away I knew something was up, but I can’t really get my head straight before 9am most days and I was operating on almost no sleep and two consecutive 12+ hour workdays at my 8am challenge, so I let it be. 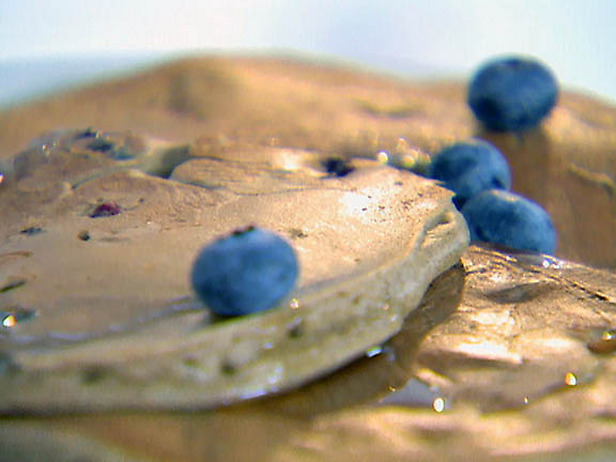 After one pancake though, I got this weird airy feeling in my throat and chest. I’ve had this feeling before, and I usually ignore it and keep eating, and then get sick. It’s the impending doom feeling. It happened with pickles, it happens all the time with watermelon, and it used to happen with blueberries and walnuts when I still ate those. So this time, I trusted my gut and asked the doctor if I could stop eating. 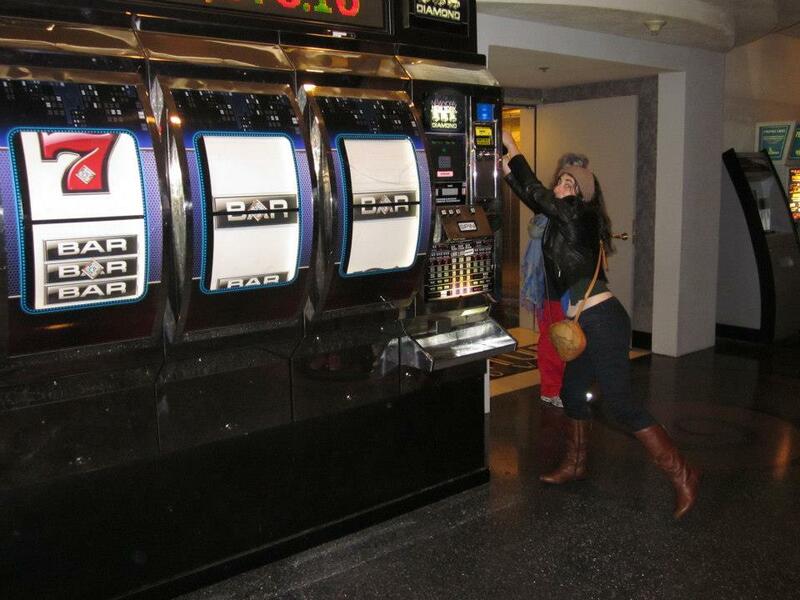 (I’m learning how to be safe, yay!). He said sure, and we just chatted about his latest Now That’s What I Call Music 45 CD. And then the tingling started. No big deal, but like, my lips and chin and jaw started feeling…off. Not swollen. Not painful. Just, annoying. And hyperaware. And tingly. Like my whole body had become centralized in my face and I couldn’t balance out. This did not concern the doctor, who said I had no visible signs of sickness. Twenty minutes later, when the tingling persisted but didn’t get worse, he released me, with no medicine. We called it a “slight positive.” Meaning, I can have exactly that amount of buckwheat on rare occasions if I need to. Sort of like onion powder. But, unlike onion powder, I don’t think I’m going to be coming across buckwheat that often. And considering I’ve avoided onion powder successfully since that challenge a few months ago, I think the point is moot. Anyone 3/4 of a bag of buckwheat flour? Because for $5.99 (for like 4 cups, mind you), that flour needs a good home. Why Aren’t More Gluten-Free Products Nut-Free? I’m not a marketing guru, or even a product development guru. I did a pretty mediocre job in AP Economics in high school (though, in my defense, my class was before 8am, I had zero friends in it, and the teacher used to say “thousand” like “thousthand” which was distracting. And he only spoke in terms of the supply and demand of apples, which always got me thinking about other foods, other possibilities, and why he couldn’t be more creative). It makes no sense for the only gluten-free oat flour and gluten-free oats available in LA to contain traces of tree nuts. I’m invited to attend a Shabbat dinner at a friend’s house. Said friend asks if I can bring dessert. I say sure, because I make killer pumpkin oat muffins. Turns out another friend, with a wheat allergy and celiac is attending the meal as well. So I ask my gluten-free friend which oats to buy, because I know some oats contain traces of gluten (would it kill them to put it on the package though? #complaintsforanother time #thisisn’ttwitterwhyamipretendingitis? She tells me Bob’s Red Mill is the only brand, and maybe something “Valley” but that’s harder to find. Bob’s it is! So I go to Whole Foods, where said flour and oats presumable are stocked, and I can’t find any that say Gluten Free. Awkward. But I pick up the regular Bob’s and it’s manufactured in a facility that also processes tree nuts and soy. I get it. Because they make like almond flour or whatever. But it seems silly that they can’t take more precautions to ensure lack of cross-contamination, like a different floor in the facility or a neighboring one, or something. 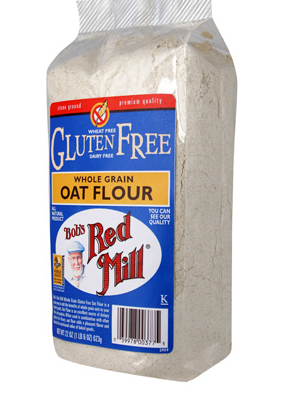 Anyway, I look for gluten-free oats – just rolled oats – thinking I can adapt my baking to use no flour, or just make flour from my oats in my food processor (I have gotten creative, crazy, and ballsy). But every single gluten-free rolled oats was connected to tree nuts in some way. And every non-gluten free oat? Not connected to tree nuts. You’d think a company that fills such a niche need would a) want to make sure they cover the entire niche, ie gluten free people with nut or soy allergies or sensitivities and b) want to cover multiple niches to expand their market base (ie tap into the people who need nut-free flour and the people who need gluten-free flour. But alas. We don’t live in that world, yet. So even though I can only bake with oats, I still can’t bake for someone who can’t have gluten, because my oats are glutenous. That is beyond lame. It also begs a question I’ve been thinking for a while — can’t all products with nuts just be manufactured in a facility that processes nuts, and all products that don’t have nuts be manufactured elsewhere? Like a nut factory that all the food companies share so that the nut-free population can eat foods that don’t have nuts themselves and no longer have traces of nuts? There are just so many random products that may contain nuts or are processed with nuts (salsa, for instance, WHY? ), and it seems silly. I wonder how much nut isolation would increase sales, compared with the costs associated with a nut factory. Vote for Breakaway Bakery, the best kosher dairy-free, peanut-free, gluten-free bakery in LA! My friend’s aunt runs an amazing bakery in LA that’s kosher, gluten-free, casein-free, dairy-free, peanut-free, wheat-free, gum-free, whole grain, organic, transfat-free, preservative-free, and almost soy and tree nut free (some of their flours are processed in facilities that process treenuts and soy, though the equipment is cleaned before the run of the flours they use — allergens may still be present in the air around the flour, though. None of their products contain soy or treenuts). The baked goods are delicious, and the owner is lovely. She’s well-informed and responsive to questions. And it was her informing her niece about the dangers of xanthan gum that helped her niece realize my corn bread reaction was likely to the xanthan gum in it. Niece tested, doctor approved. Anyway, the bakery — Breakaway Bakery — is competing in Intuit Go Payment’s Get Business Growing contest. Please take a second to vote for them and grow this business. It’s great to have a local bakery that meets these needs, but by selling their goods in other areas, more people will have access to the baked goods they need. And yes, I believe baked goods are a necessity. I’d much prefer buying muffins to baking my own. Click here to vote. Click here to visit Breakaway Bakery’s website. I got a little bored of my pumpkin muffins, and after a friend (who happens to be a pastry chef) made a delicious strawberry merengue dessert for me a few weeks ago, I’ve decided to experiment with strawberries. Especially now that I am definitively not allergic to them. This recipe is so easy and I made it up so feel free to tweak it as you wish…I wound up with about 10 muffins. Play with proportions for more. Preheat the oven to 400. Puree the strawberries and cherries in a blender. I didn’t de-pit the cherries, so I spit the pits out of the muffins which I’m ok with, but I guess you can de-pit them or buy pitted cherries if spitting bothers you. Mix the dry ingredients, eggs, and oil in a separate bowl. Add the cherry/strawberry puree. Mix well. 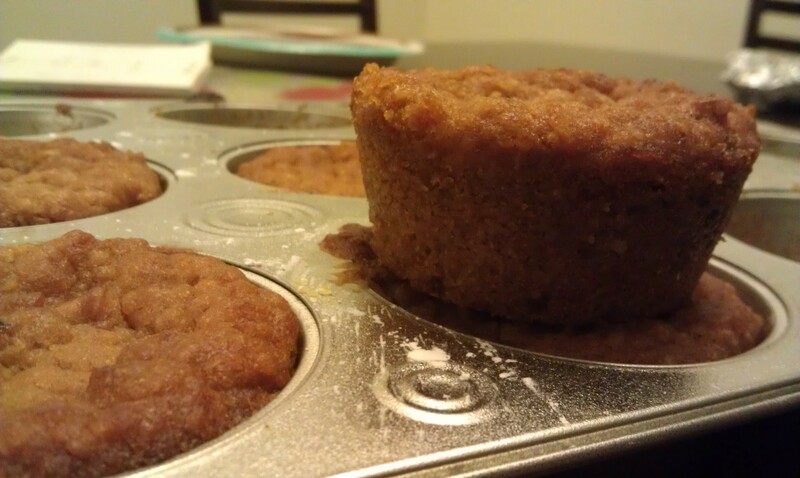 Pour into a greased muffin cupcake tin. There are three days a year I absolutely need to eat pumpkin pie: Sept 13 and May 12 & 13. I do this in honor of my beloved late friend Bernard Herman, who loved him some pumpkin pie. We started a tradition in May 2005 to buy Bernard a pumpkin pie for every momentous occasion, in homage to him eating my friend Elyssa’s pie when she was out of town, in the most Goldilocks of ways. It was just so something he’d do, and he loved the food so much. Plus, as my friend Zach pointed out, what college students ever got to say the sentence, “We’re going to buy Bernard a pie?” We did. And so every year since his passing, I keep the tradition alive by eating pumpkin pie on his birthday and the anniversary of his death/the following day when I found out about his death. Except I can’t eat pie. It’s been secretly breaking my heart since the whole “no wheat or eggs” thing started 60+ days ago. How would I eat pie today? What if I couldn’t eat pie again? Enter pumpkin oat muffins. I’d made them before as an erroneous cookie, and I’ve experimented a bit since, but since the whole “3 times a week” diet thing started, and since I’ve been trying to avoid any contact with egg yolks so egg whites are out of the picture, I’ve steered clear of desserts. Until now. 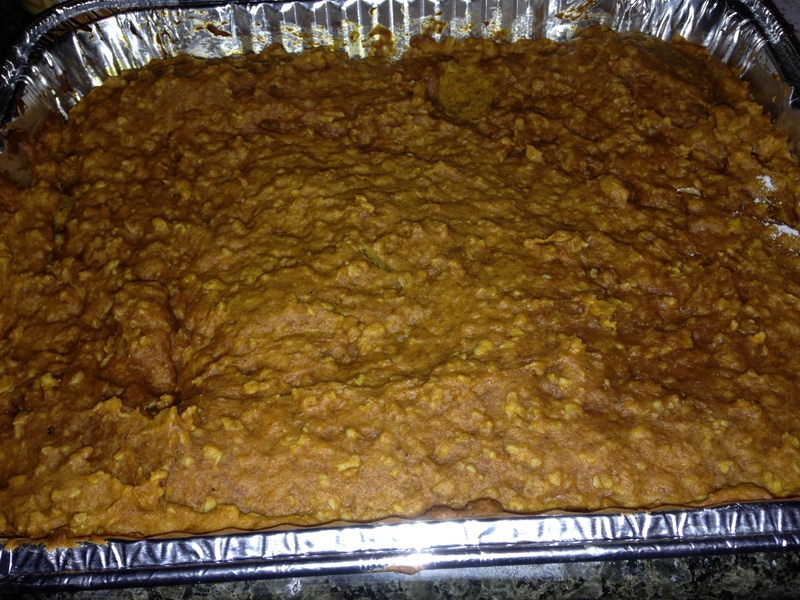 The following recipe is based on a pumpkin oatmeal cookie recipe from Cooks.com. I had the original before this whole thing started, and it’s delicious. But if you’re looking for an egg and gluten free alternative, the muffins are great. Also, since I can’t have nutmeg, cinnamon, or ginger, I replaced those with extra sugar and brown sugar. Refer to the original recipe for the proper spices. But seriously, delicious either way. I don’t typically measure so much when baking, especially when I’m playing around with ingredients, because you really can’t tell how many oats equal one cup of flour. So the below are total approximations, but I feel like you can sense the consistency as you’re baking. Plus, if it’s a little gooey (it was the first time) you get a great souffle. Who doesn’t like souffle? 1/4 cup applesauce (to make 1/4 cup applesauce, since I can’t eat prepared foods, I used this applesauce recipe from allrecipes.com. I trimmed the portions to 1/4 the original amount to make sure I only made as much applesauce as to replace one egg, ie 1/4 cup). Mix flour, sugar, bakind soda, salt, brown sugar, and oats. Add in pumpkin and appleasauce. Mix well. Drop into a muffin tin. 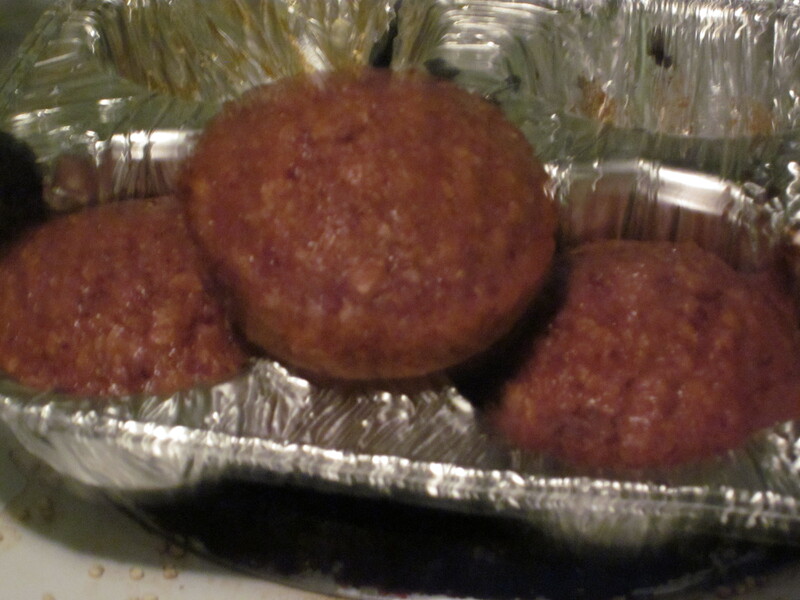 If you don’t have little paper liner things, dab a little corn starch into the tin to keep the muffins from sticking. Bake for 15-20 minutes, or until a knife can be removed without any residue.